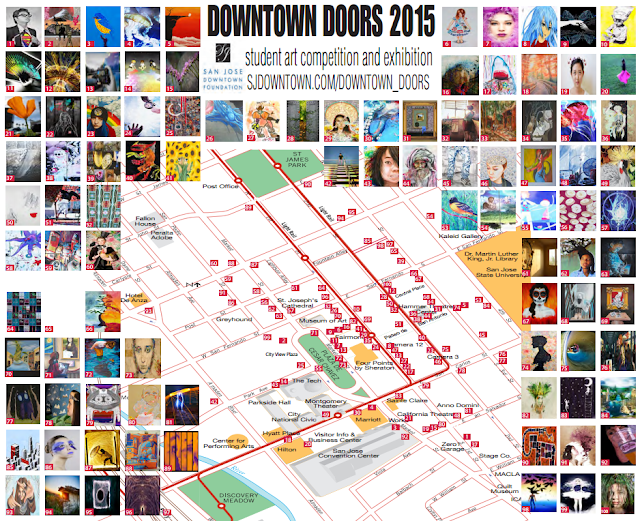 The popular Downtown Doors program has expanded to 100 locations in Downtown San Jose! 22 new works of art have been chosen among 133 submissions from students across 15 San Jose high schools. Each new work will be on display for several years before being replaced. For information on the new artwork (including videos with the artists) as well as a handy map showing where all 100 doors are located, head over here!